1. SELLER'S AGENT: The company (including its sales people) who has been contractually engaged by the sellers to represent them in the marketing and sale of their property. The sellers agent is pledged to work in the seller's best interest. The seller's agent is obligated to be fair and honest with other parties such as buyers and other agents. Sellers' agents often work with buyers as "customers." 2. BUYER'S AGENT: The company and its sales person who have been contractually engaged by the buyers to locate property for them and represent their best interests. The buyer's agent is obligated to be fair and honest with other parties to the transaction including the seller. Buyer's agents are usually paid by sharing the seller's agents commission which is paid by the seller. 3. DUAL AGENT: This relationship occurs when the seller's agent (listing company) has also entered into a contractual agreement to represent the buyer as the buyer's agent. This situation is the exception rather than the rule and all parties must be informed (disclosure) when it occurs. This situation does not necessarily work against either the buyer or seller when it occurs. 4. TRANSACTION AGENT: This term is applied to a real estate company (including its sales people) who has not entered into a contractual agreement to represent either the buyer or the seller. They owe fairness and honesty to all parties but are not pledged to work in the interest of either party. They treat buyers as customers. 5. CLIENT: A buyer or seller who has a contract with the real estate agent for representation. 6. CUSTOMER: When an real estate agent works with a buyer without an agreement to be a buyer's agent, then the buyer is called a customer. The agent will be either a transaction agent or a seller's agent. 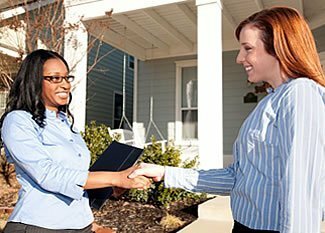 If you are looking for a real estate agent in Georgia, contact Fickling & Company and we will help you.